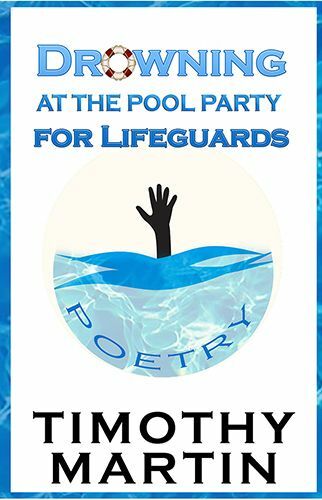 JOHNSTOWN, Pa. - Nov. 3, 2018 - PRLog -- Prolific Press Has Published Drowning at the Pool Party for Lifeguards by Timothy Martin via their wildly successful International Chapbook Series that is quickly taking the publishing world by storm! Many poets are aspiring to be published by Prolific Press because the press is quickly earning a reputation for publishing little-known writers alongside its more successful clients. According to Prolific Press, its only interest is in the quality of the work, not the pedigree of the writer. Despite the humble conventions of chapbook publishing in general, Prolific Press has stepped forward by including many of the elements found in more robust offerings, setting the bar high for competitors in a chapbook publishing market widely known for minimal investments. Drowning at the Pool Party for Lifeguards visits the intersection of the broadly historical and the deeply personal, and explores how each works to inform the other. Mingling with poems about the Nazi resistance, World War I, and Civil War burials are verses about personal relationships both successful and otherwise, and a number of other subjects. A reticent father, a romantically grounded farmer, and the avaricious widow of a seventeenth-century adventurer are a few of the characters and voices that are heard from. Even the mother of Death herself makes an appearance. By turns serious and playful, the poems suggest a glimpse of who we have been and who are. We are authors of broken hearts and botched love affairs, as well as breathtakingly courageous acts in defense of those who otherwise have none. Timothy holds a Masters of English Language and Literature from the University of Kansas and an MFA from the University of Michigan. He lives in Ann Arbor, MI with his wife; together they have two wonderful adult children. He is employed in the technical sector as a professional writer, when not at work on his verse in his private moments.